'Far From Home' by Shannon Calvert - DPC Prints! Originally entered in the At the Zoo challenge. 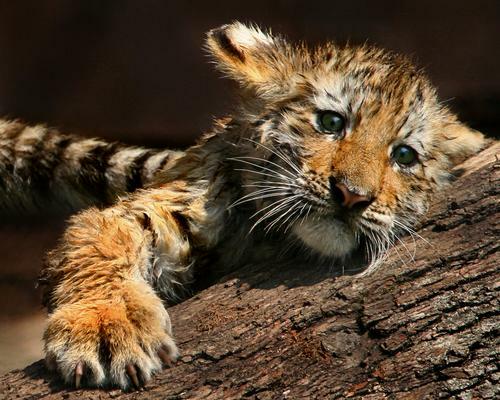 One of three tiger cubs at the Beardsley Zoo in Bridgeport, CT. The 3 month old cubs were wrestling each other in the enclosure, and this one almost lost his grip on a log. The tail actually belongs to his brother off the left side of the frame, and the wet look is from jumping in the pool.